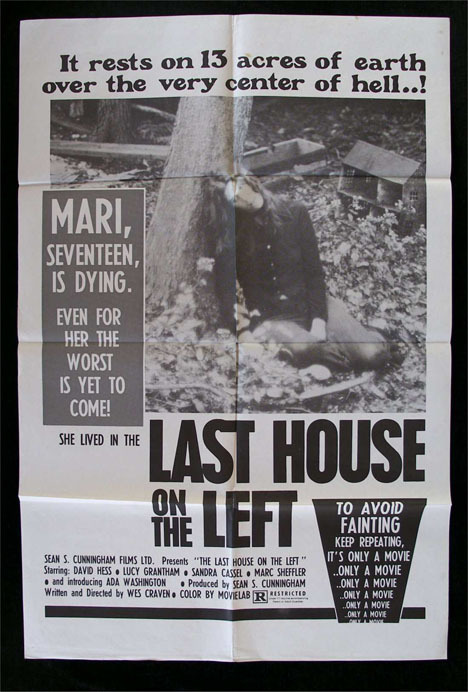 wes Craven’s original masterpiece “Last House on the Left” is probably one of the hardest movies that I have ever had to review. Let me warn you first and foremost, those expecting a teenybopper horror flick like “Scream” are going to be in for a surprise. The plot? Two teenage girls go into the big city for a concert when they are kidnapped, rapped, taken out to the woods, and murdered. Extremely graphic and brutally raw would still be downplaying how disturbing this is. Well, after these two girls are murdered, under strange circumstances, the gang that did it are forced to spend the night at one of the young girl’s parents home. All of this is shot and filmed with a dark, dreary look that perfectly fits the sick tone of the movie. It’s raw and powerful but don’t say I didn’t warn you. Let’s just say, they don’t make movies like this anymore. Growing up in a small town with not a lot of friends, you have to do what you can to make the time pass. For me, my friend past-time was horror movies. I devoured them as a kid. I remember going to the local video store with my mom and running to the horror aisle to see what new releases might be in stock. But even more than the new releases, it was the 80′s style horror movies that really caught my eye. The box art was normally quite grotesque with a naked girl here and a body part here. I always thought to myself, “This is awesome!” Hell, the Nightmare on Elm Street 3: Dream Warriors back box art (Kristen in the “Freddy snake”) scared me so much that it would take me years to watch it. Of course, I would always check out the back cover art just to freak myself out. “Scream” made horror movies scary again with a brilliantly constructed plot. One year after the death of Sidney Prescott’s (Campbell) mother, two students turn up gutted. When a serial killer appears, Sidney begins to suspect whether her mother’s death and the two new deaths are related. No one is safe, as the killer begins to pick everyone off one by one. Finally, something the horror genre was missing: a good old fashioned murder mystery. The performances all around are first rate from Neve Campbell as the vulnerable to Courteney Cox as the bitchy journalist willing to do whatever it takes to get a story Gale Weathers to David Arquette as the sweet, slightly dimwitted Deputy Dewey to Drew Barrymore’s doomed Casey Becker. A Nightmare on Elm Street is an unbelievably original, terrifingly realistic, and overall terrifying that, despite a weak ending, is one of the best horror flicks of the quarter of a century. The film deals with a deceased child molester who now lives only through the dreams of the children of those who burned him alive. 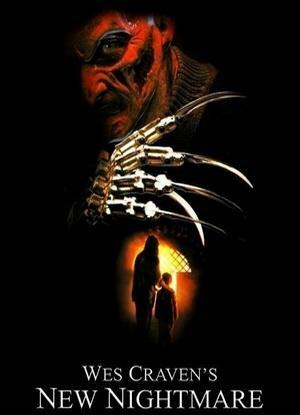 Robert Englund is truly frightening as Freddy Krueger. 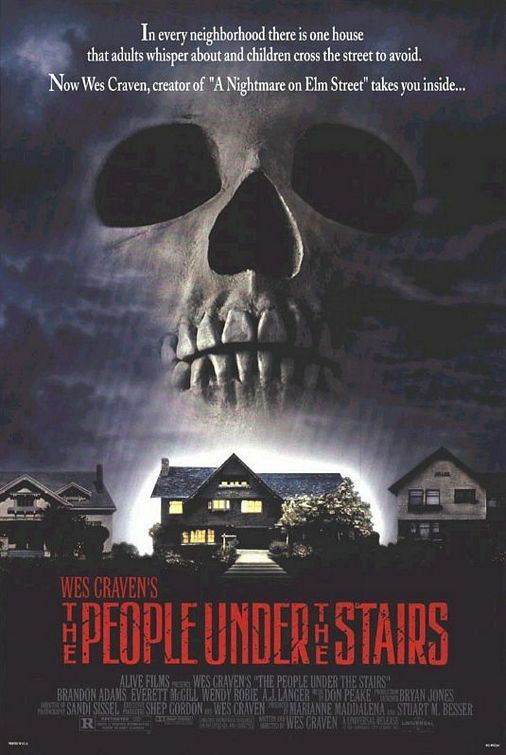 Wes Craven delivers a surprising amount of tension that still holds up today. Sound convoluted? Pretentious? Overly meta? Shockingly, no. “New Nightmare” is that rare horror film in which everything works. The performances are pitch perfect, lead by a tour-de-force performance by the amazing Langenkamp. The script is full of twists and turns and the movie is quite possibly the best looking of the entire series. What starts out as a maze of mirrors becomes something much more than your typical nightmare. The film examines the role film plays on those who watch it. Something that Wes Craven’s “Scream” would play out to great effect two years later. I really can’t say enough about this film and homages to the original are expertly placed. 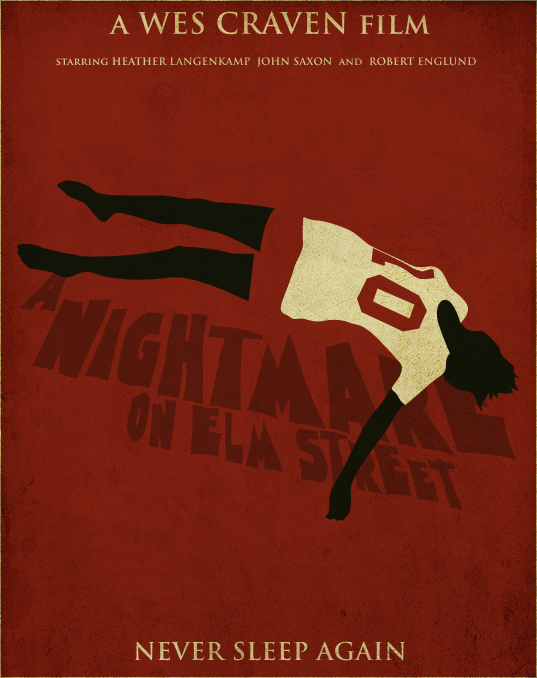 It is one of my all time favorite horror films and a modern classic. I think that’s fair. In fact, if I were to do a top 6, Hills Have Eyes would be the next one on my list. That being said, Last House definitely isn’t for everyone and I can definitely understand why someone wouldn’t like it. I’d substitute LAST HOUSE ON THE LEFT with THE HILLS HAVE EYES. I really like that one. And I never really got the big deal about LAST HOUSE.